The worship ministry invited the Awaken Generation(AG) to do a workshop on prophetic worship. We invited them to take the Sunday worship service and message as well. This would give the worship teams a rest and they would be inspired by AG’s worship team. We were blessed by AG’s generosity, anointing and inspiration. They ministered like rain upon us with their tight music and the prophetic worship led by Alarice, with her passionate voice and anointing, and Ian with his steady voice. No strain, so natural, yet supernatural. Even the sound system adjusted by their professional sound engineer was dynamic and enhanced the worship team’s capabilities. 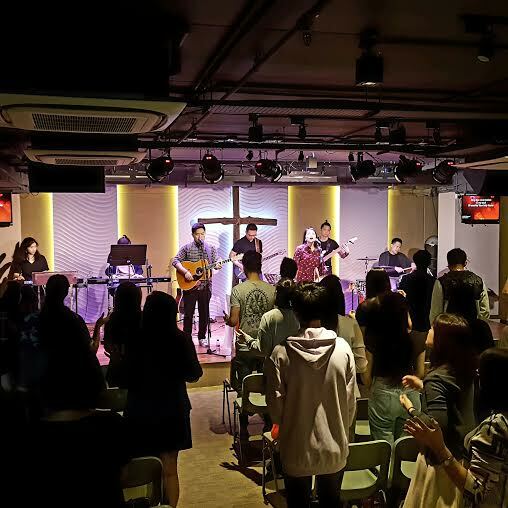 Calvin Hong then took Psalm 100 and preached through it verse by verse, and at the end, with some words of revelation, ministered to the congregation in prayer ministry. Later in the Sunday afternoon they conducted a three hours workshop for the worship teams. This bunch of mentors are committed, serious and inspiring. I have since seen our worship teams ventured out with boldness in prophetic worship. The AG team hailed from different churches and they have great music skills, experience and the Holy Spirit is upon them. I unreservedly recommend them to any church that wants to motivate and train their contemporary worship teams.